… Horsies, ponies, horses and horses and more horsies and ponies… We weren’t the only ones excited by the upcoming show – many of the drivers I encountered that night in the parking lot (and on the long lines of cars) had the same bright hysterical glint in their eyes too. 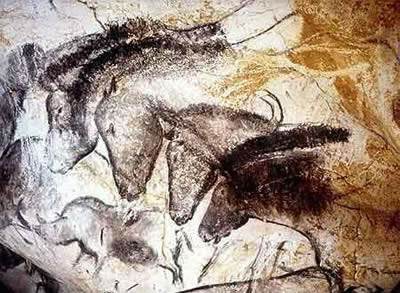 The passion for horses is shared by many cultures across the world. 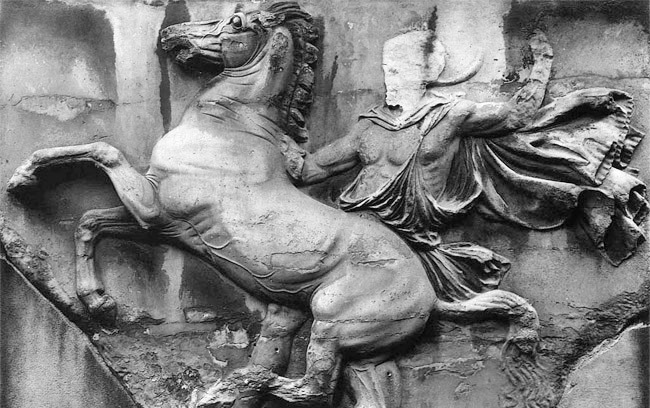 People have been admiring and worshiping the horse for centuries. Some writers like to get all Freudian about horses – “the horse is a phallic symbol and that’s why pubescent girls love them”… well I say that’s a load of crap – horses are noble, graceful creatures full of power, warmth, and intelligence and men and women both have always been in love with their beauty and their companionship. 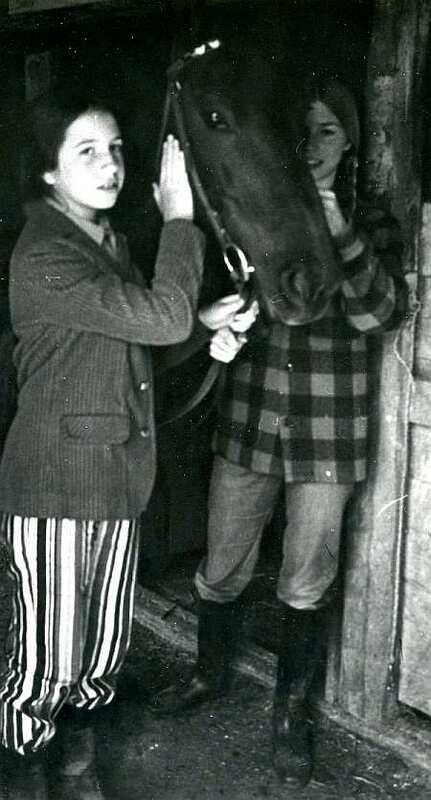 When I was small I was like most kids – I liked horses even though I didn’t personally know any. I saw them in art at museums, on TV, in books, on the streets of NY. I used all my birthday cake wishes over the years for a pony of my own (which never came true BTW). I’d grown up knowing that my mother had ridden at a military stable on Staten Island when she was a teenager (I still have a picture of her with High Top on my dresser), so the dream was within possibility. 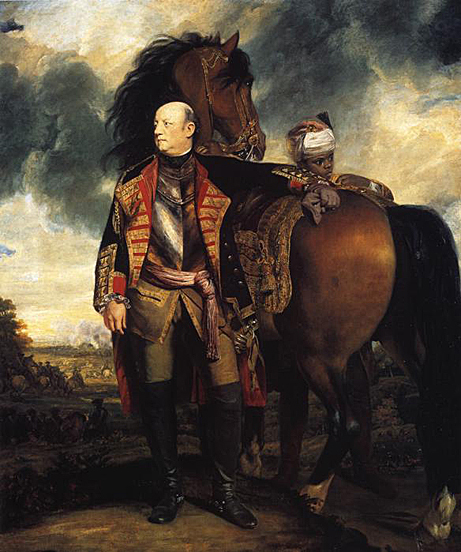 I always wanted my portrait done like this – standing nobly with one arm draped over the back of a beautiful horse. Horses have long been considered a status symbol – the finest horses were always owned and bred by the wealthy. This is a portrait of John Manners, Marquess of Granby by Sir Joshua Reynolds 1763-1765. 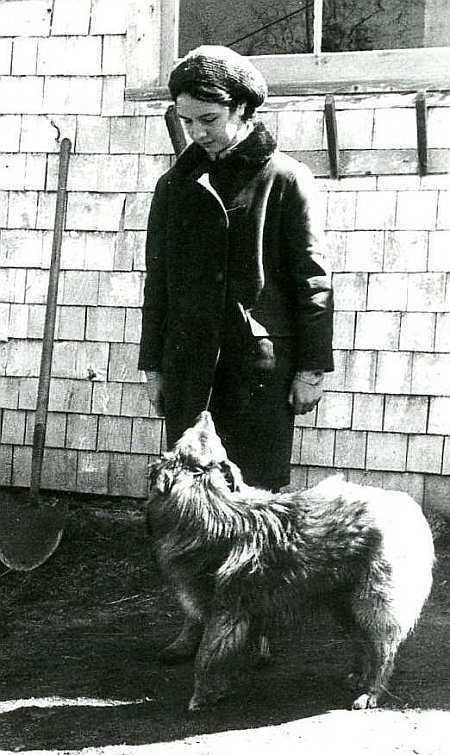 But I didn’t meet an actual horse til I was 12 and my family went to Eastern Canada to look for real estate in the spring of 1972 (see earlier posts). We stayed at my aunt and uncle’s “gentleman’s farm” in Jolicure, NB. They had a couple of cattle, a goat, a rabbit, some chickens, a lot of cats, two dogs, and a beautiful black mare named Mammy Fortuna. 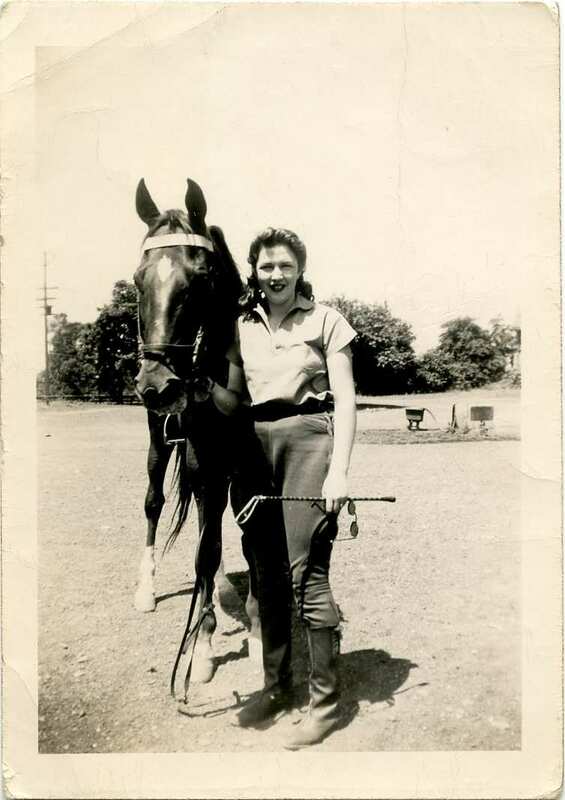 Mammy was my cousin Lorrie’s horse. She was black with a white star and a couple of white socks. She was sleek and shiny and though she wasn’t a big horse, she had a big personality. Meeting Mammy for the first time in the Spring of 1972. My beautiful older cousin Lorrie is holding her. From the moment I was introduced to Mammy and she gently nuzzled my hand and puffed her warm breath into my face, I was smitten. 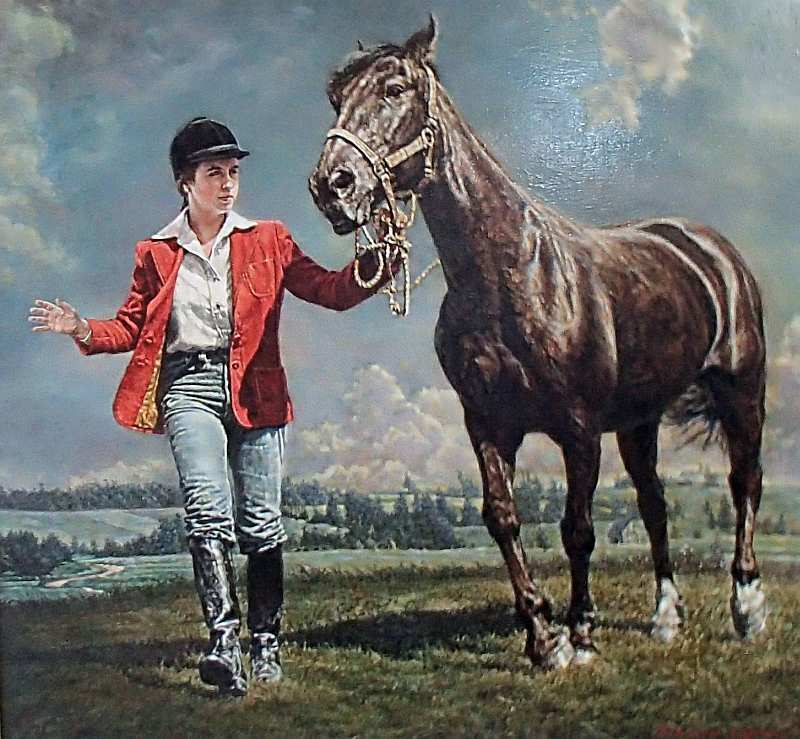 And when for the first time I was given a boot up into the saddle and was led slowly around, precariously balanced on her back, I suddenly saw the world differently. 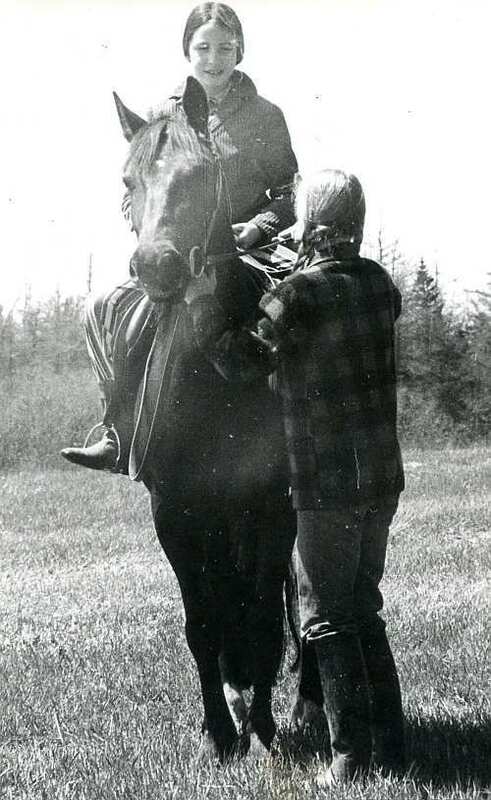 My cousin taught me to ride – head up – heels down – back straight – and also taught me how to take care of Mammy – all her grooming, feeding and stable needs. She even taught me to jump Mammy – and though it was all very basic riding, I loved it. 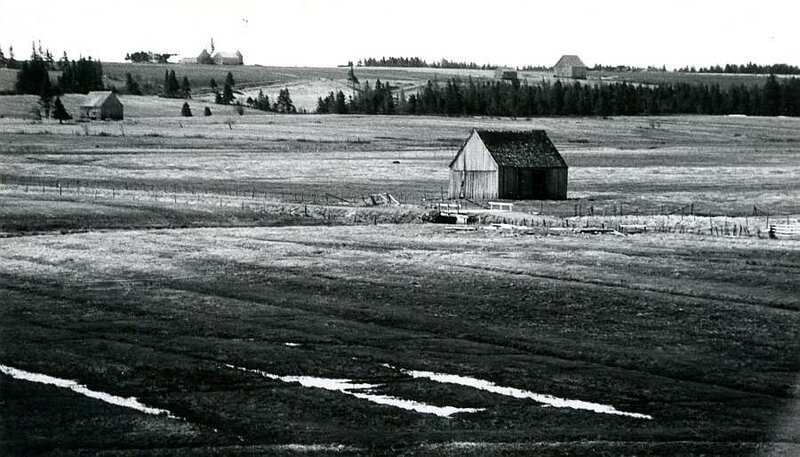 I rode Mammy in the fields near the farmhouse, in the riding ring by the vegetable garden, and down the back roads onto the Tantramar Marsh. 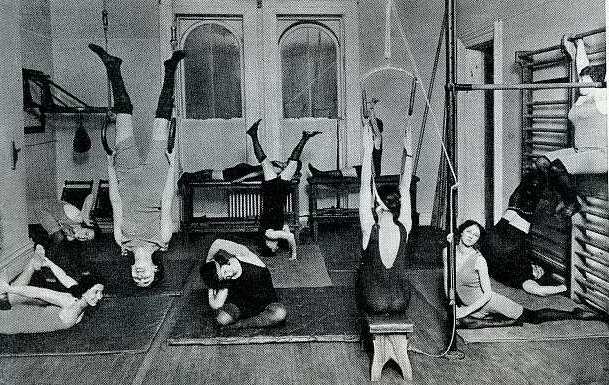 Eventually I was given the responsibility to exercise and take care of Mammy when my cousin would go away for several months at a time. We lived maybe 4 or 5 miles from my aunt’s farm. I managed to get there by bike, by school bus, or I’d walk in from the corner when the road was bad, and often I’d have my mother drive me. My first riding lesson with Mammy and Lorrie 1972 – I’m wearing my groovy psychedelic striped elephant leg pants – it is the early 70s after all. She’d visit with my aunt while I was busy with the horse. I love all animals, but there is nothing like the friendship that you can have with a horse. Mammy was an individual with a complicated personality. She wasn’t a push button horse, and her spirit wasn’t broken like many of the horses I’ve seen lugging tourists and children around at parks and camps. She had deep passions and demanded respect. I learned that the only way I could work with her was to remain calm and to acknowledge her moods and needs. I needed to remain in control but never be a bully – I had to work with her, not against her. That calm state of mind, that peace that comes with being centered, is what made riding Mammy so wonderful. When we got to the point of knowing each other we shared the world and our friendship became strong. She looked forward to my company and would whinny at her stall when I’d arrive at the farm. There was no greater joy than that shared with Mammy on a beautiful day on the Marsh. One of the roads I rode on near my Aunt’s farm went across a valley of the Tantramar Marsh. Luke the dog always came with us. He ran alongside Mammy and explored all the smells of the wild along the way. He was my buddy and a beloved member of our little team. Meeting Luke for the first time 1972. Lukie Daddles, as I called him, became a dear friend and always accompanied me with Mammy on rides. Every time I’d arrive at the farm he’d run to the wood pile and bring a giant log out for me to play stick with him. I have rarely felt the trust and closeness of the animals I’ve loved, in people. With animals there is an unspoken bond that is powerful and requires a kind of communication and honesty that people are often unable to create. If you gain the respect of a horse or a dog (or any other animal) there comes a peace and comfort and an innate closeness that cannot be replicated. Whatever the weather – cold and snowy and icy, or warm and sunny with wildflowers around us – riding Mammy was one of the most powerful experiences of my life. When I returned from graduate school one Christmas and asked to see Mammy I found out that she’d been put down. It was devastating – I’d never contemplated the world without her. Later that night my father held me in his arms while I sobbed. He cried too – because he said I hadn’t cried like that or hung onto him like that since I was a little girl. When I was getting married my father asked me what I’d like from my parents for a wedding gift. I asked him for a painting – and left it at that. A few months later he gave me this beautiful painting of me with Mammy on the Tantramar Marsh. Its one of my most prized possessions. Betty and Mammy by Bernard Safran, oil on masonite 1988. Mammy will always be in my heart. Though she wasn’t my horse, I loved her like she was. I am eternally grateful to my cousin for sharing her with me. A few years ago a painting came up for sale on eBay of a black mare done in the 19th century. We won the painting to my joy. I was contacted by the people who came in behind us – they asked to buy it from us because it looked like a racehorse they’d owned. 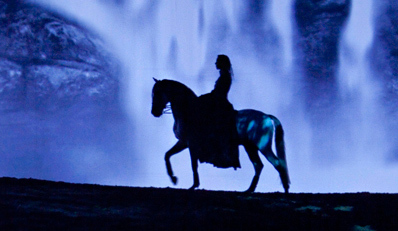 I wrote back that no, I was keeping it – because it was like the horse I loved and rode as a girl and I needed it. And it hangs on my bedroom wall across from my bed where I see it every morning and every night. We won this painting on eBay a few years back – it reminds me of Mammy. I believe the painter knew this horse – its a study of an individual – full of love and warmth. 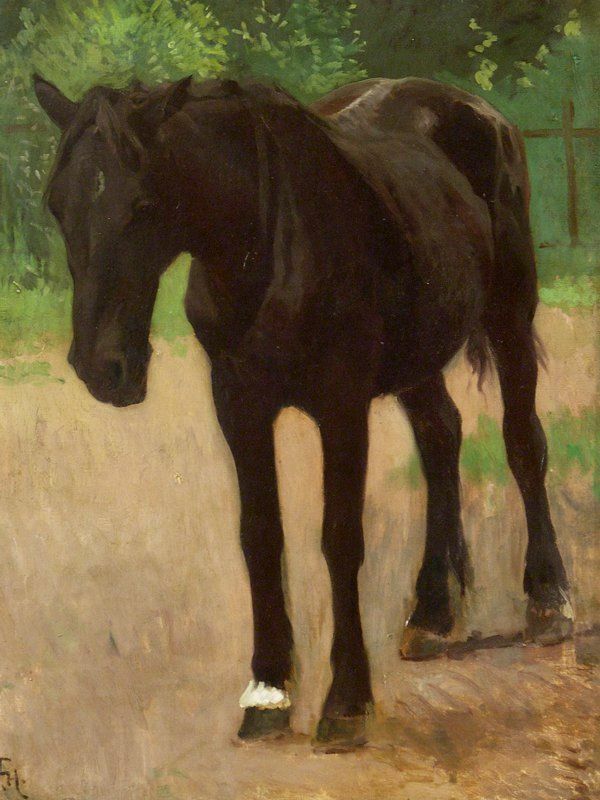 Black Horse by the Danish painter Frants Henningsen c 1890.
being best friends and loving her with my whole heart. 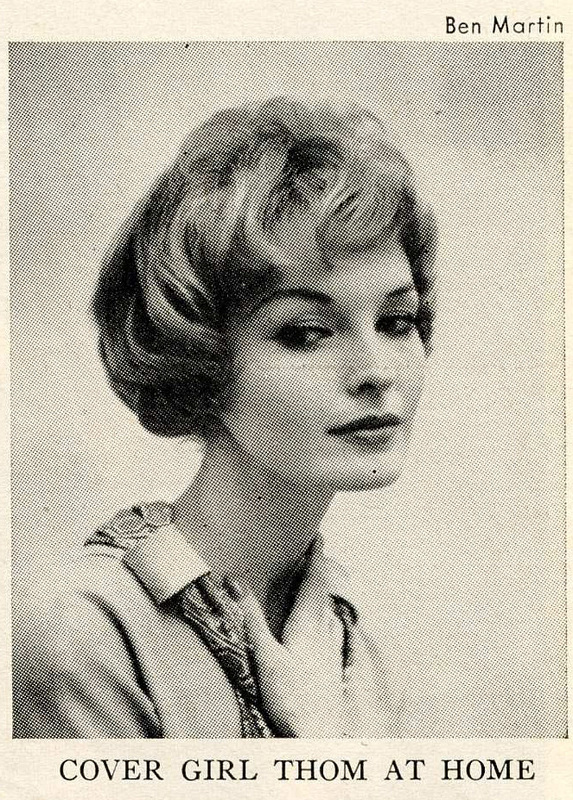 Beauty 1958 – is this why they cast Christina Hendricks as Joanie?? 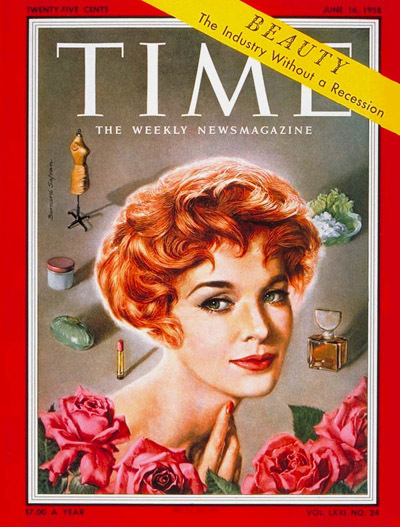 My father was called in at the end of February 1958 to paint a cover for Time representing the financial success of the Beauty Industry. 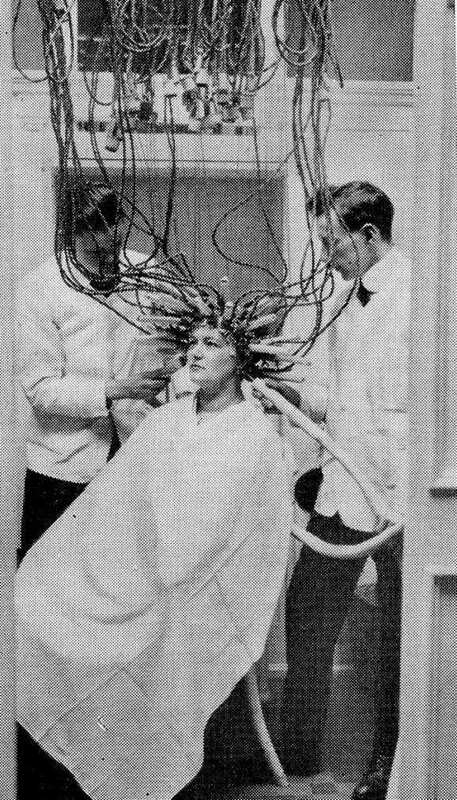 Otto Fuerbringer the Managing Editor had seen a hair ad in the NY Times that featured a beautiful model. He had the research department find out who she was and insisted she be the face of Beauty for the cover. Being the 1950’s they introduced the model on page 15 in A Letter from the Publisher as Mrs. Douglas Thom Jr. Her given name was Jean and she worked in Manhattan as a model for major cosmetic houses. They managed to get glossy prints from that photo shoot for my father to work from. So he took the photos home and worked up several concept layouts as requested by senior brass. I couldn’t find out online the true color of Jean’s hair or find the original ad (its somewhere in the New York Times in 1958). Obviously he made several subtle changes to the woman’s face and hair style – he might also have changed the hair color too – its hard to know. For the roses he and Nancy Faber of the Research Division at Time, went down to street level Manhattan and found the perfect blooms at a nearby florist. I’m guessing that my Dad used some of my mother’s personal cosmetics for the other items in the painting. This beautiful woman became the 1958 iconic face of Beauty overnight. Anyway – the Beauty Industry aside… I wouldn’t be surprised if the Mad Men creators and casting agents researched the era and found the Time cover by my Dad. Compare Joanie of Mad men (Christina Hendricks) to Jean Thom on the Time cover – the red hair, the classic features, the slender neck, the full red lips? What do you think? Did they or didn’t they?